The Youth Science Center at the ARO (Agriculture Research organization) is dedicated to enhancing interest in agricultural science studies among Israeli youth by offering a range of educational activities, workshops and professional development for students and teachers. 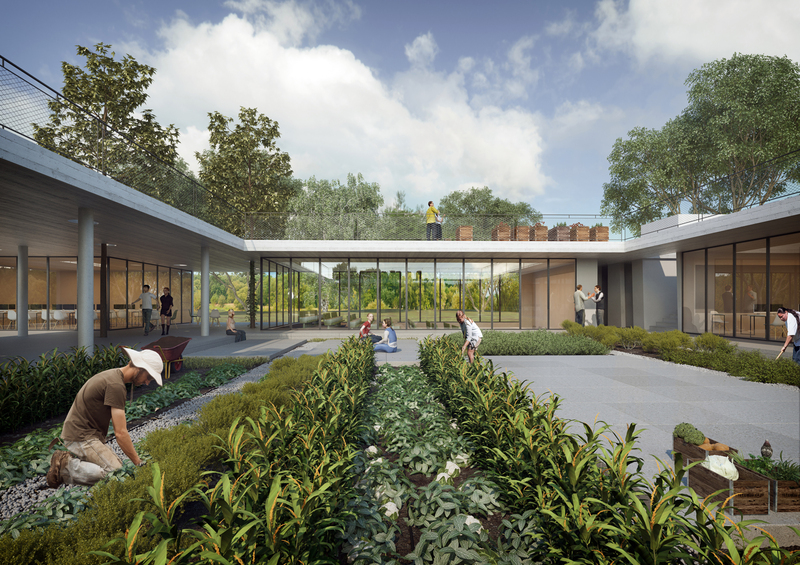 The new building is planned to accommodate the expanding activities of the center and to meet the needs for unique educational environment and facilities. 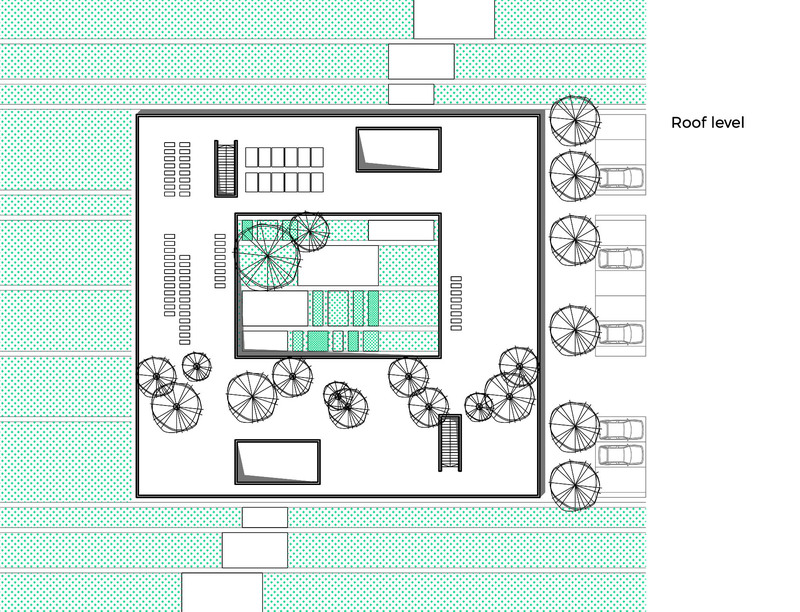 The structure is designed as an open complex, open to the surrounding environment and grasping the green character of the campus. 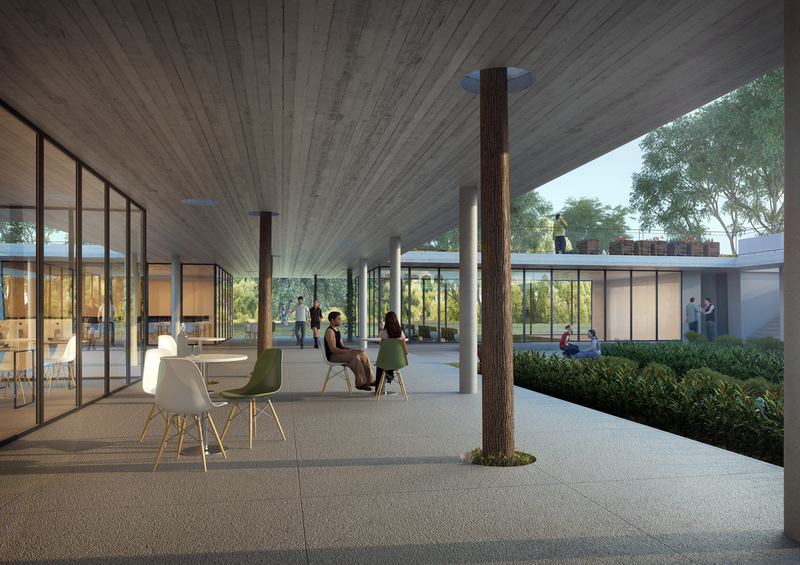 A network of paths and passages will be integrated into the structure, connecting the center to the various research institutes within its surrounding. 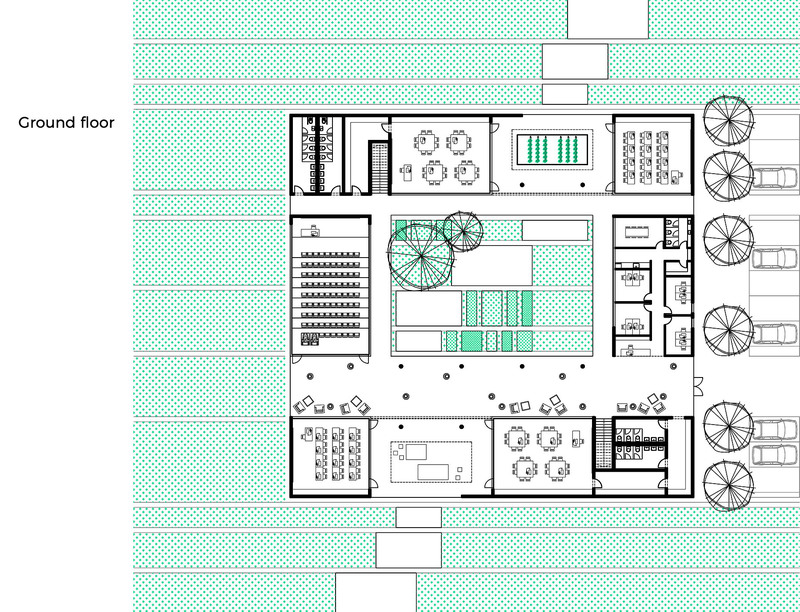 The open scheme and structure provides for great flexibility in use. It can easily be used for one activity, simultaneously for several groups, or to host special events. Its dynamic division into wings allows parallel activities to be undisturbed. The building has been planned to be a model for sustainable design and technologies. 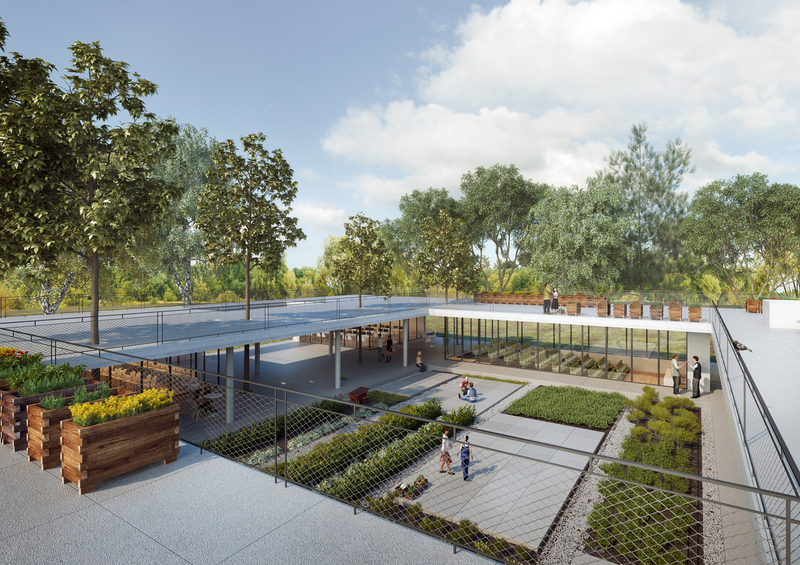 Several outdoor spaces were designed to provide a rich learning environment and serve as interconnecting spaces that can be used both as gardens and as open laboratories or classrooms. 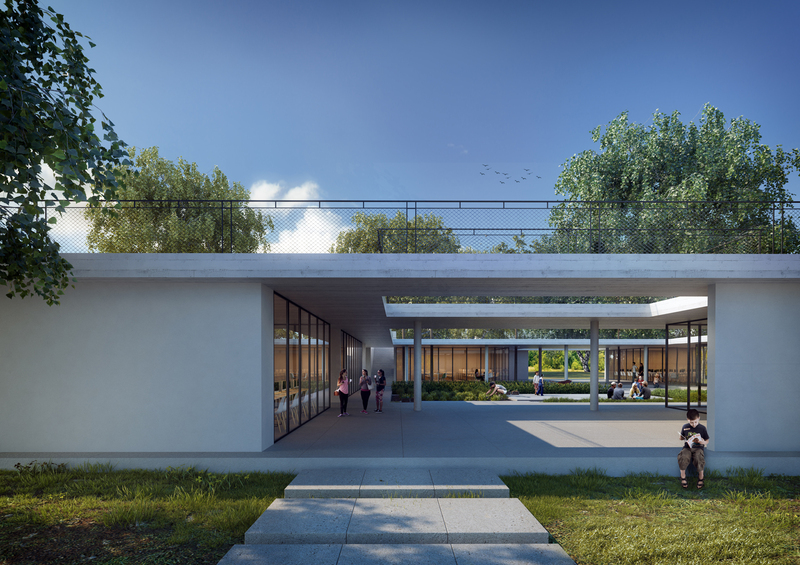 The classrooms will have transparent glass walls, organized around a central courtyard, encouraging curiosity by exposing students to exhibits and parallel studies. The building generate solar energy, employ technologies to recover water, have a green roof and self-sustaining gardens.